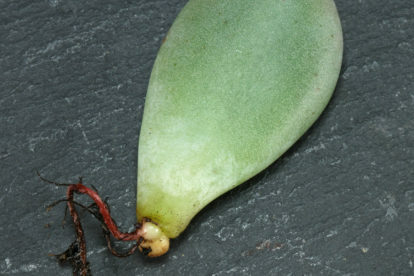 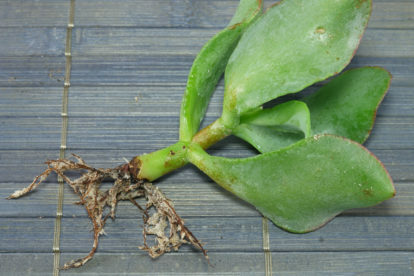 New growth after: first roots showing of after 2 weeks. 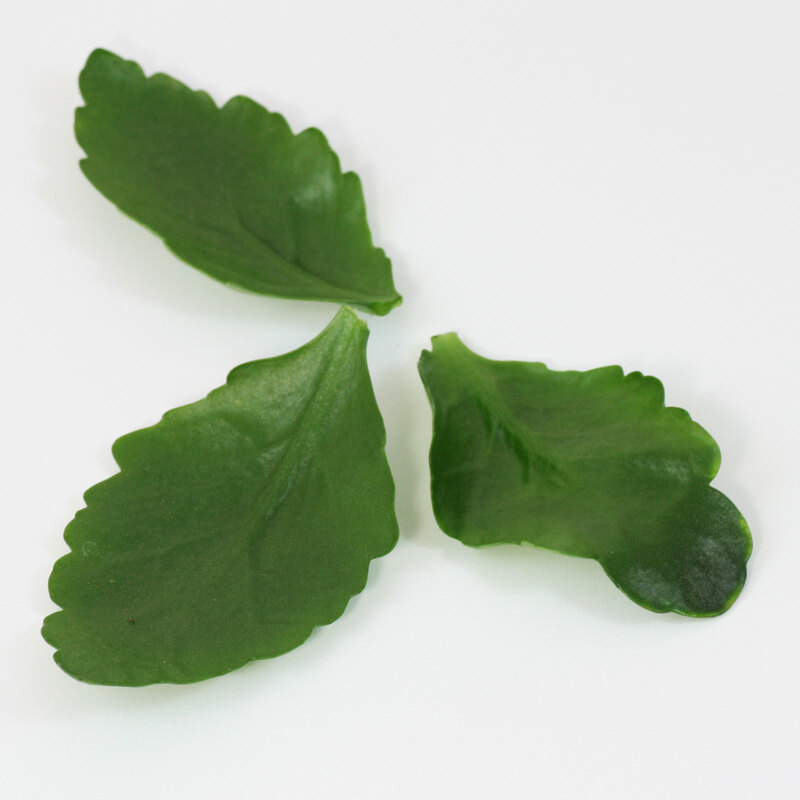 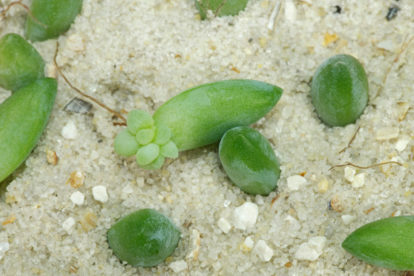 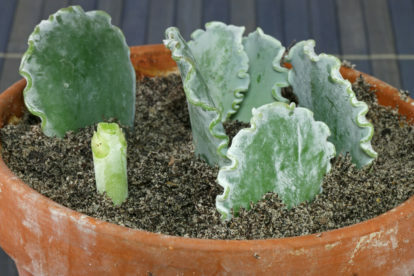 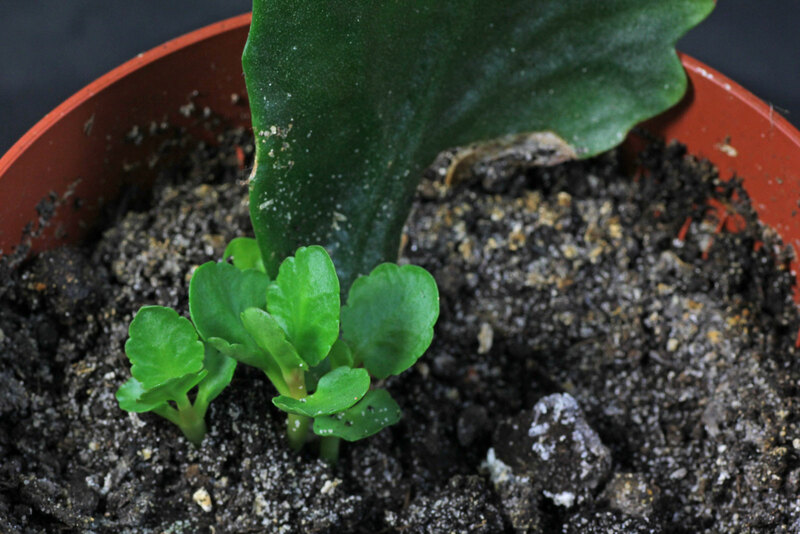 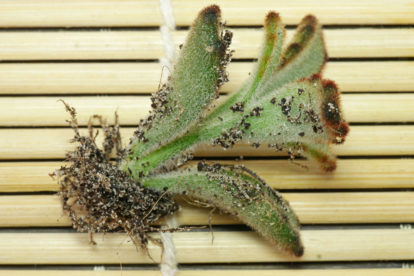 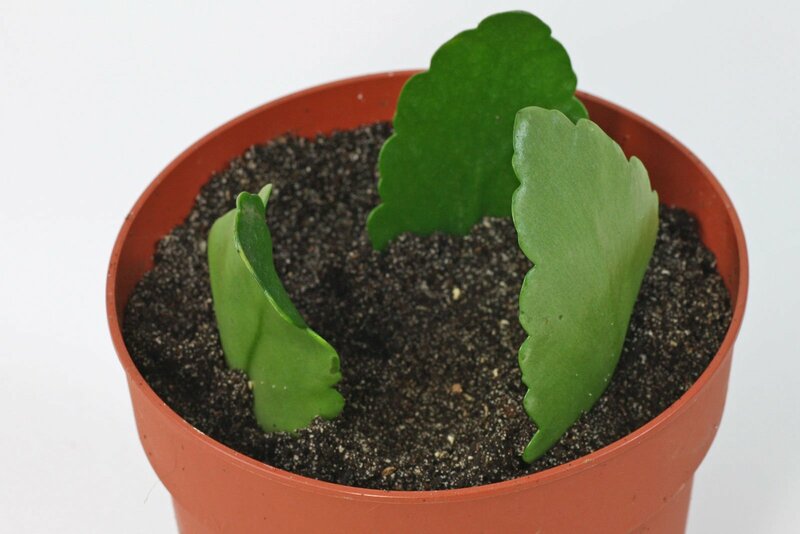 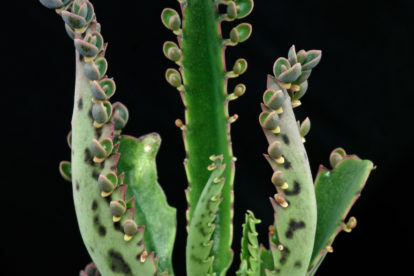 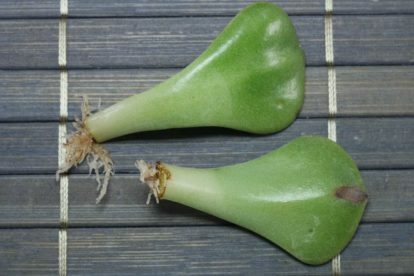 New leaves are shown after 3 to 6 months. 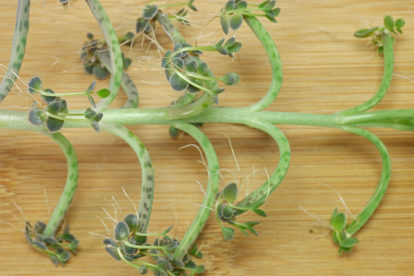 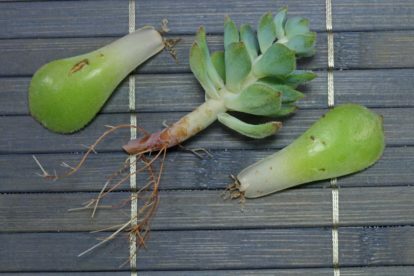 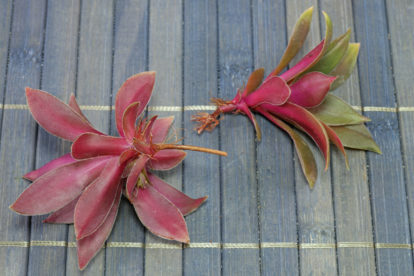 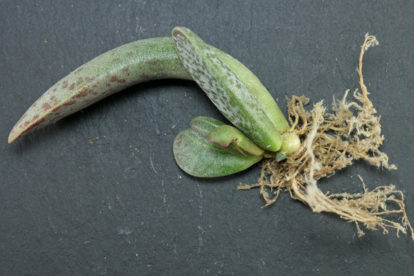 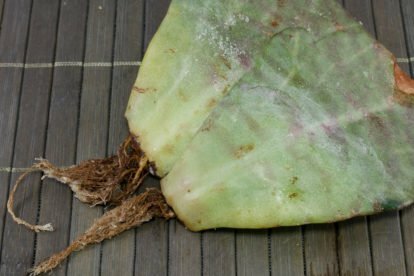 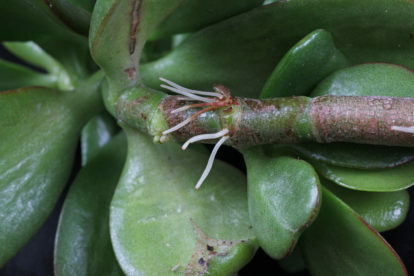 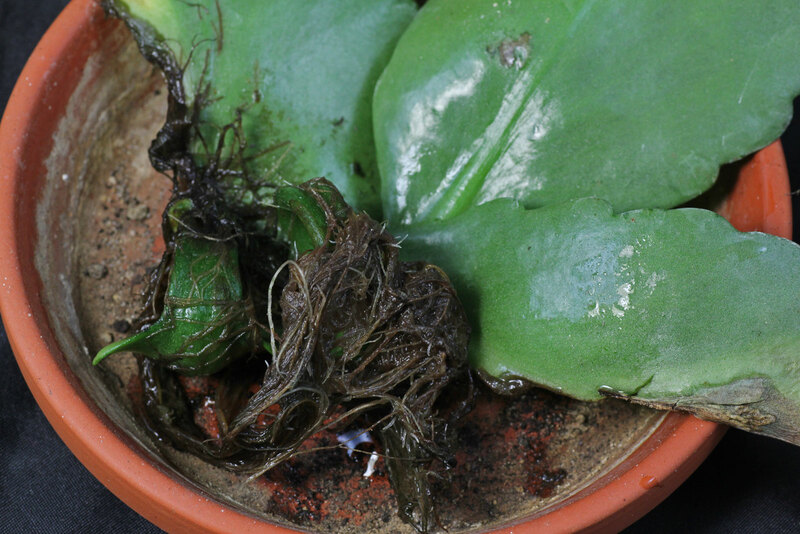 More infos: place more than 1 cutting in a pot because not all are rooting.